This is our 9th post in our series highlighting families adopting from Asia. 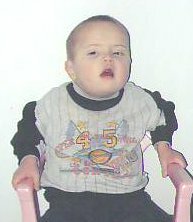 These families are bringing home special needs orphans who would other be passed over and left to age out of the system. These precious children often live in countries where their needs are little understood and where they will likely be discriminated against just because of these needs. So my objective in writing these posts is to give these families a platform from which they can get support, spiritual, emotional and financial. You can help these families by encouraging them, praying for them and giving financial aid where possible. The Pellegrino Family are home with Gabriel and doing well! Read more here. The Gariepy Family are home with Samuel. They had some adjustment to make once home but are now doing well. Read more here. The Garrick Family has just returned from their court appointment in Lana’s country. They will be returning in a few weeks to bring Lana home. They are now fundraising for their travel expenses. Please do continue to support them through this last part of their adoption. They have the following fundraisers still running: She Does Justice and Buy a t-shirt. You can contribute directly to their adoption grant here. You can follow their journey here. UPDATE: 21 October: They have a date! October 31st is Gotcha Day! But they are still a little short on funds. Do help if you can. 6 November: They are HOME! Praise the Lord! 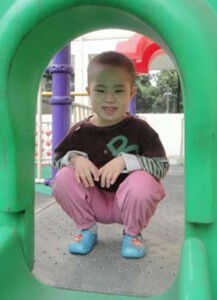 The Evans Family is now waiting on travel dates to go bring Hylah and Meilin home. Please do pray that they will have no more delays. They are still fundraising: selling Wooden Name Puzzles and Handmade Bracelets. You can also contribute directly to their adoption grant here. You can follow their journey here. The Murdoch Family has finally received their LOA (Letter of Approval) after a very long wait. They hope to travel around Christmas time to bring Corina home. And while they wait they are still fundraising through their FB group, Crazy for Corina, where they sell lovely handmade items, just request to join and start buying. You can contribute directly to their adoption grant here. You can follow their journey here. UPDATE: 25 October: They have I800 Approval! Now they wait for Travel Approval from Corina’s country. The Dismuke Family has received LOA! Now they wait for travel dates to go bring Johanna home. They are also currently working on LOI (Letter of Intent) to bring home another child. Their fundraising efforts include: AdoptTogether, Puzzle Fundraisier and Just Love Coffee Roasters. Do click through and help them meet this last bit of expenses. They also have a Lilla Rose Fundraiser (lovely hair clips) and a 31 Fundraiser. You can contribute to their adoption grant here. You can follow the family’s journey here. UPDATE: 23 October: they have I800 Approval! Likely travelling in December. The Lewis Family are waiting on their NOC (No Objection Certificate), then they will have court and once Abby-Kate’s passport is ready they can bring her home. Do pray for a speedy visa process. They have only their travel expenses (around US$5000 -$6000) left to raise. Please do help them meet this last expense. They are hoping to travel in November. Pray also for a successful garage sale on October 25th-26th. They are also selling headbands on this FB page. You can contribute directly to their adoption grant here. You can follow their journey here. UPDATE: 8 October: They have NOC!! Now they wait for court and their girl’s passport! They are also processing travel visas now and then they can go bring her home! Keep praying for a smooth process. 14 October: They have an online auction running now (together with the Fraley Family). Please do take part. Lots of lovely items! The Wetherington Family have added another child, Henry and so are now bringing home both Elliette and Henry. This means double the expenses so please do help them meet those increased expenses. They are now waiting on their I-800A Approval. They are working on new fundraisers. In the meantime, you can contribute directly to their adoption grant here. You can follow their journey here. UPDATE: 14 October: They have an online auction running now! Please do take part! There are some lovely items up for bids. The Phelps Family is travelling on October 16th to go bring Naya home! They will meet her on October 21st and have a consulate appointment for October 29th. Please help them with the final bit of fundraising. You can contribute to their adoption grant here. You can follow the family’s journey here. The Gilbert Phillips Family will be travelling on October 24th to bring Winnie (Gianna) home. Do pray for them for safe travels. Gotcha Day is October 28th. You can contribute to their adoption grant here. You can follow their journey here. UPDATE: 27 October: They are in country! 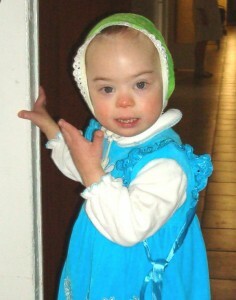 Please continue to pray for safe travels and for Winnie to be ready to this huge life change. The Smith Family has finished their homestudy. They are busy fundraising and here is how you can shop and help: Amazon Link, Just Love Coffee, Adoption Bug, Young Living (use number 1450122) and Play World Toys. New fundraisers: Jamberry Nails and Ginger on a Mission (enter Smith family for Steve in the notes to seller). You can give directly to their adoption grant here. You can follow their journey here. The Huhn Family has their homestudy completed and now are waiting on USCIS Approval. Their fundraiser at SophiaRoseCraftShop is still ongoing. You can also contribute to their adoption grant here. You can follow their journey here. The Monier Family has their homestudy finished.Their fundraisers include: their Esty shop (lovely necklaces) and Channah’s Guardian Angel’s Esty shop with lovely sandwich bags and business card holders, please put in a note at checkout that you would like 50% to go to Channah. You can also contribute directly to their adoption grant here. You can follow their journey here. UPDATE: 14 October: They have a Discovery Toys fundraiser going on now. Do check it out. These make wonderful Christmas presents. 18 October: They now have a Premier Jewelry Party (access code dcpd7) going on. Check it out – some lovely jewelry would make great gifts. It is an actual house party but if you want to order online, simply view the catalogue (see access code above) and contact Denise Connelly ( US Phone: 352-419-2655, dconnelly724@gmail.com). 28 October: They have a video of Channah they are holding hostage… check it out! 29 October: More updates on Channah! Another way to help! The Steinhoff Family is leaving in 2 days, on October 11th to bring Carrington and Peyton home! They need another US$1000 to be fully funded! Please help them! You can contribute to their adoption grant here. You can follow their journey here. The Campbell Family has their dossier DTC (Dossier To Country). Since they have returned from a previous adoption less than a year ago, they are busy fundraising now to bring home Darcy. Here are the links where you can shop and help: Usborne Books, Trades of Hope, Thirty-One, Lilla Rose, Discovery Toys and Pasta Fundraiser. So click through and make some purchases. Their immediate need is US$2415 agency fees and US$720 for USCIS fees. You can also use the Amazon Affiliate Link on their website (it’s the Amazon search box). Contribution can also be made to their Project Hopeful account. You can contribution directly to their adoption grant here. You can follow their journey here. UPDATE: 11th October: Their dossier is logged into the system and they wait for LOA. 17 October: New fundraiser! Alex & Von Fundraiser – check it out! Do make sure that the Consultant is Lynne O’Leary and choose the party For Ally Kate – Angela Campbell — all proceeds will go to helping the Campbells bring their daughter home! 25 October: They have a Scentsy Fundraiser happening! Check it out! Make it’s by Melissa Lorenz for Campbell Adoption. 1 November: NEW Fundraiser! Wildtree Organic Food Products! The Aschoff Family‘s dossier is en route to country. They were able to meet the last matching grant they were given. Praise the Lord and thanks to all who contributed. They now have a Tastefully Simple Fundraiser going on. Do help them with their fundraising and continue to pray for their process to be smooth and hassle-free. You can also contribute to their adoption grant here. You can follow their journey here. The Rakoczy Family are not new to adoption. They have 3 girls who are adopted, one domestic and two international. They were on their way to another child when the Russian ban on US adoptions broke their hearts. But they didn’t give up the call. 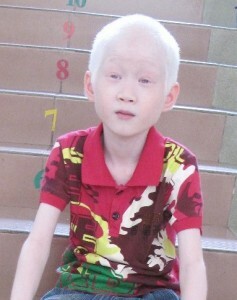 They pressed on and are now adopting Daniel from Asia. They are waiting on homestudy approval. And they have a t-shirt going on – see here for details. You can contribute to their adoption grant here. You can follow their journey here. UPDATE: 14 October: They have a Lego Giveaway! Join in now! And they also have a Trades of Hope Fundraiser with lovely items for sale! 16 October: Homestudy DONE! Praise the Lord! 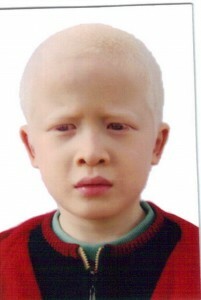 The Lanz Family has just returned in May from adopting 2 girls and is going back for Peter (Issac). They are waiting on I-800A Approval. As Peter is a paraplegic, they will be making some significant modifications to their home and vehicle. They are working hard to meet not only adoption expenses but also these modifications. They have the following fundraisers: ApParent Fundraiser, Fair Trade Shop (use family code TOM12003), their own Esty Shop, Puzzle Fundraiser (specifically for Peter’s plane ticket), Amazon Link and Ginger On A Mission Esty Shop (mention “Peter and the Lanz Family” at checkout). You can also contribute to their adoption grant here. You can follow their journey here. The Fraley Family has had their hearts broken when the files for 2 little girls they had hoped to adopt were lost. But God had another plan – He had 2 other little girls for them. So they are now on their way to bring home Autumn and Abby. Their dossier is en route and they are waiting for I-800A Approval. Their girls were not identified as siblings in the “system” so apparently there is something or other to be done in India to mark them accordingly before they can file. Do pray that this gets sorted out fast. They are planning for fundraisers at the moment so stay tuned. In the meantime, you can contribute to their adoption grant here. You can follow their journey here. UPDATE: 14 October: They have an online auction running now (together with the Fraley Family). Please do take part. Lots of lovely items! 2 families home (1 family distrubuted), 3 new families, 17 families needing your help, your support, your prayers. So do give generously. Thank you.